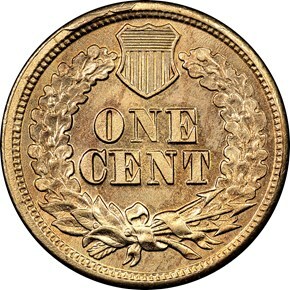 The hoarding of cents continued unabated during 1864, and various merchants had already resorted to issuing thin, copper tokens of cent size to make change. 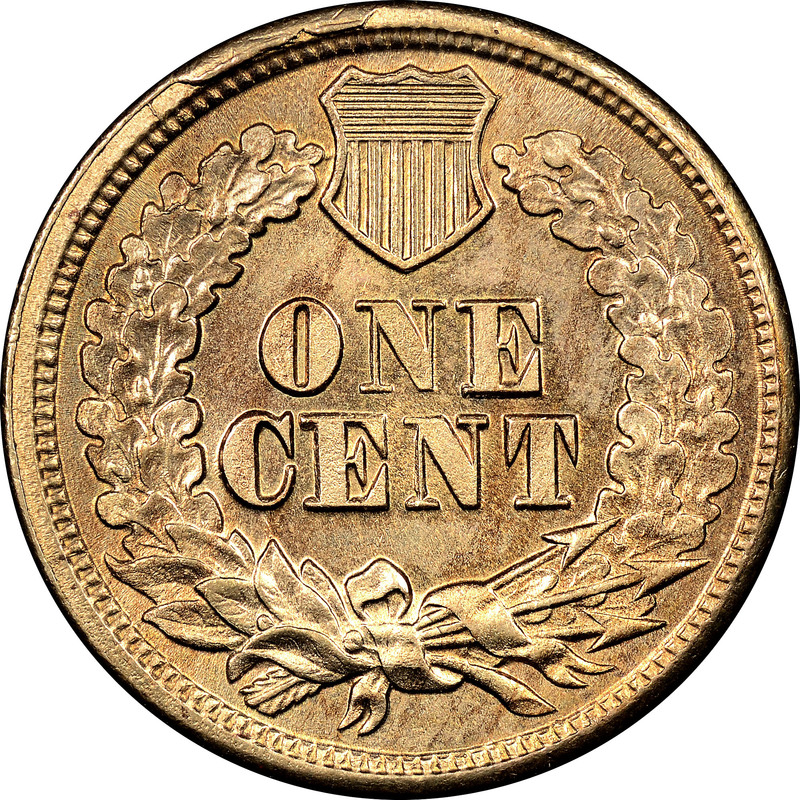 Unlike the federal issues, which had contained nearly one cent's worth of metal before the war, these tokens were worth just a fraction of their nominal value and circulated freely. 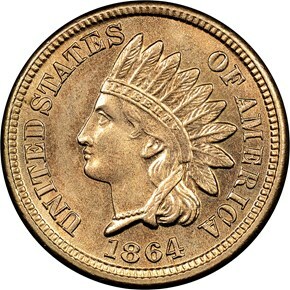 Congress took notice of their success and passed a new act replacing the copper-nickel cent with one of bronze that was similar to the ubiquitous tokens. In the early months of 1864, before the new law became effective, over 13 million copper-nickel cents were coined for circulation. Like their predecessors, these were mostly hoarded at the time, though the abundance of worn examples prove that these did return to circulation once the money crisis had passed. The 1864 "nickels" seem to have been made in haste, with most examples being weakly struck from overused dies. Slightly scarce as a date due to its low mintage, this issue is also challenging to find with full luster and a sharp strike.